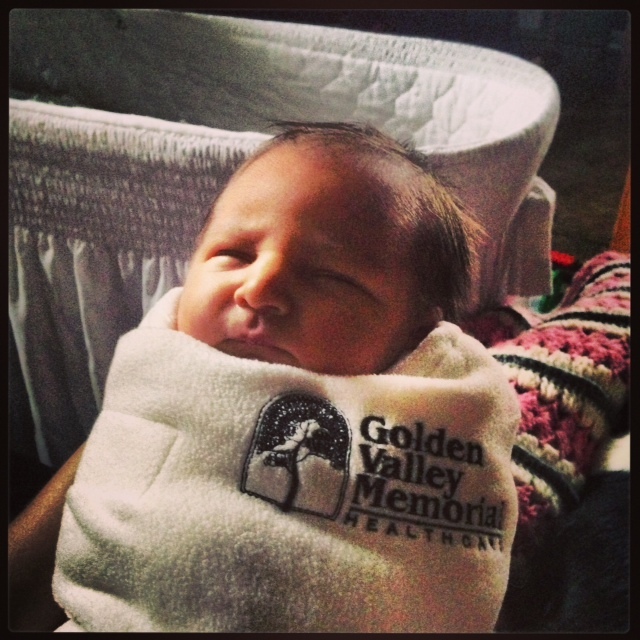 A little over a week ago we welcomed our newest addition into the world right here at GVMH. In the past three months my family has been a big consumer of health care services at GVMH. Obviously my wife has had ongoing obstetrical care, in June our oldest son broke his clavicle and had to visit the ED and follow-up with Dr. Womack in Orthopedics, and then last week we had a four-day stay in the Birthing Center. I can proudly say that the care we’ve experienced over the past few months has been outstanding and if you think about it we’ve utilized the entire spectrum of services available at GVMH from outpatient, physician clinic, emergency department and inpatient. I honestly don’t believe we would have received better care anywhere and I’m proud to be part of such a great team. It’s easy for all of us to take the services at GVMH for granted but not only is the care convenient because it’s right here at home but it’s excellent which means there’s no reason to sacrifice quality for convenience. Life’s a little different with the second baby. The mysteries of “now what” no longer exist. I remember the anxiety I felt when I drove out of the parking lot with our first son, I was much more at ease, but no less thankful, when driving home with our second son. The second baby doesn’t seem to cry quite as loud or demand as much care. In reality there’s no difference between baby one and baby two when it comes to crying, the difference is the parents know what to expect and they realize that a baby is going to cry and that’s just part of it. I quickly learned that little brothers are tough. Our newest son has been kicked, poked, prodded, squeezed and pinched and he’s really no worse for wear. I want to qualify my last sentence by letting you know that he’s not been mistreated in any way he just happens to be a little brother and he has a four-year old big brother and it takes a while for a four-year old to figure out that babies are delicate or maybe it takes a while for Dad to figure out that their not as delicate as he thinks. We’re in an adjustment period and that adjustment is just getting started. There are now four people in our house and the good news is the baby’s cry is only really loud to big brother and little brother. Here’s some new GVMH marketing material.